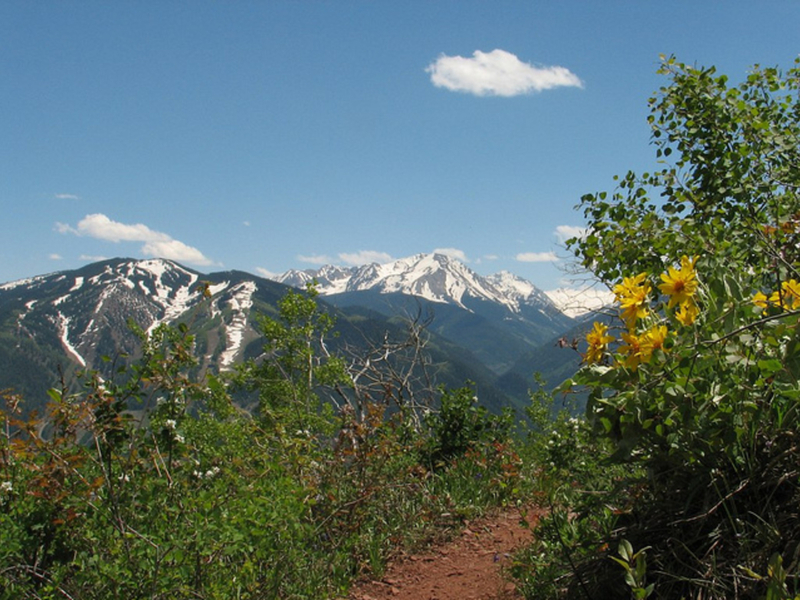 Aspen’s Sunnyside Trail offers unobstructed views of the surrounding valley and peaks. Sunnyside enjoys a good deal of sun, hence its name, and offers exceptional sunsets, as the trail faces southwest. There is also a 4 mile option. 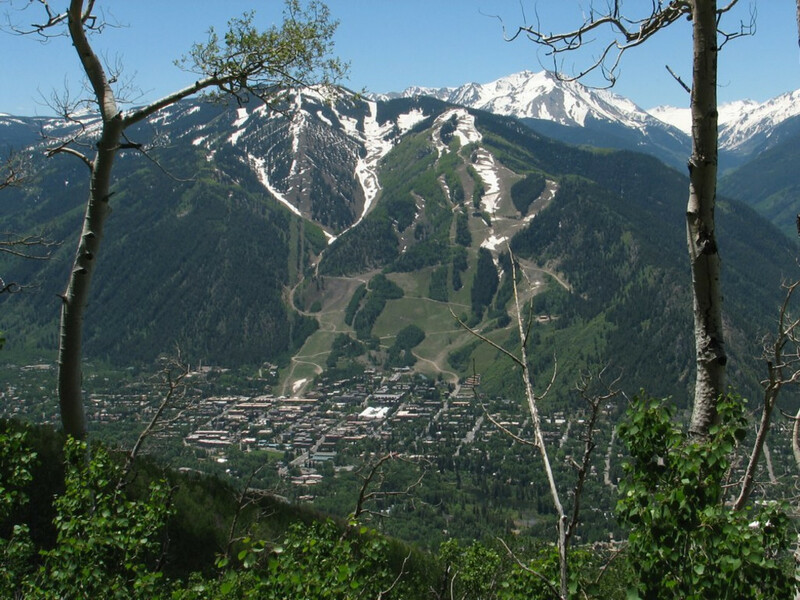 Aspen’s Sunnyside Trail offers unobstructed views of the surrounding valley and peaks - the views of Aspen Mountain, Aspen Highlands and Buttermilk and grandiose 14,000-foot Pyramid Peak are out-of-this-world! Sunnyside enjoys a good deal of sun, hence its name, and offers exceptional sunsets, as the trail faces southwest. The trail can be accessed two ways. If you’re looking for a challenging two-hour, four-mile roundtrip hike, you can access Sunnyside from the Rio Grande Trail off of Cemetery Lane, or you can start from Hunter Creek Valley for a longer full-day hike. This moderate hike provides a variety of hiker preferences. The trail’s out and back route allows hikers to turn back when they feel as if they’re ready to be done. Sunnyside’s connection to a slew of other trails at the top of the ridge-line provides access to full-day and overnight excursions for the more adventurous and physically able. If you’re accessing the trail via Rio Grande be prepared for a winding uphill jaunt through scrub oak and sage bushes once’ve you cross over Cemetery Lane. As you ascend, the views become more and more spectacular. Sunnyside’s sunny locale ensures the trail remains warm and dry for most of the year, making for a great late fall, early spring and even winter hike. Typically the trail is dry. Once you’ve reached the top of the ridge it’s time to come back down. Most hikers prefer to summit Sunnyside’s ridge-line, but the trail is an out and back route making it easy to modify the distance to your fitness and energy level.From Sunnyside’s ridge-line it’s possible to continue onto Four Corners, Van Horn Park and Hunter Creek Valley for a full-day hike. If you plan on continuing to Hunter Creek the hike is about 10 miles one way. Many mountain bikers like to ride the same trail in reverse from Hunter Creek. If you like warm, Colorado sunshine and unobstructed Rocky Mountain views, Sunnyside is the Aspen hike for you. 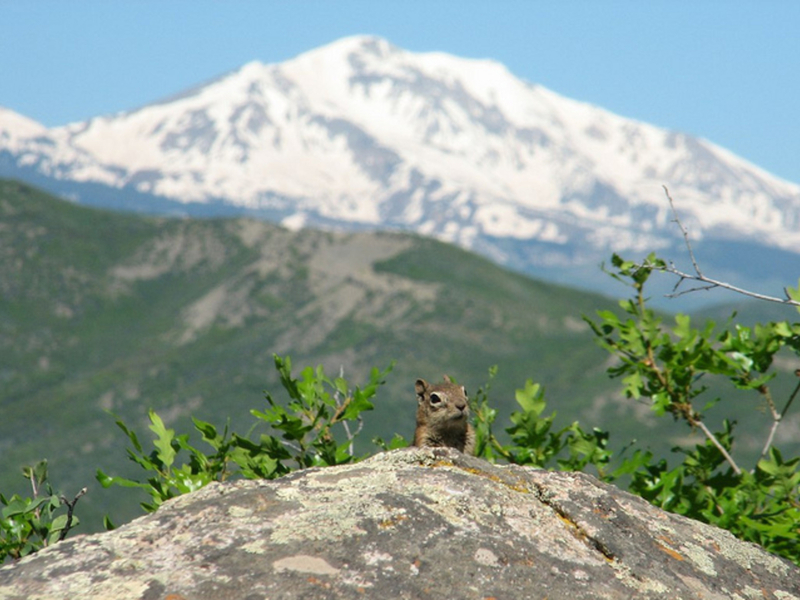 Keep your eyes peeled for marmots and other small critters and don’t forget the sunscreen! The easiest route is to park in the Stein Park/Cemetery Lane parking lot. The Sunnyside trailhead is just a couple yards from the bike station on the Rio Grande. Sunnyside is located in non-wilderness land, so dogs are allowed off leash, but must be kept under control for wildlife and other hikers and mountain bikers.